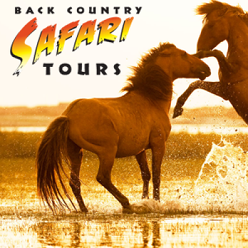 Back Country Safari Tours specializes in family oriented nature tours through the 12 mile strand of the Outer Banks we call the BACK COUNTRY. You’ll explore over 30 miles of beach, dune and back country trails in our family sized 4WD SUV’s with our trained naturalists to discover the Outer Banks’ abundant shore life and experience an up close visit with the legendary wild Spanish Mustangs brought to our shores by Spanish Conquistadors nearly 500 years ago. Back Country Safari Tours is proud to offer Segway “test glides” and tours. The Segway Ht is a self balancing – 2 wheeled electric transportation vehicle that is currently being offered for tours in San Francisco, Chicago, New York, New Orleans, D.C. , and Paris – it is the future of short transportation and it is now here on the Outer Banks!